The River Alun trickles through the neat Cathedral Close, between the Cathedral Church of St Davids and the majestic ruins of the 14th century Bishop’s Palace. In this little green valley, tradition says that St David, son of King Sant and St Non (sainthood ran in the family) and Patron Saint of Wales, established a monastic centre in the 6th century. 1500 years’ ago, it was a remote, wild, place, an area long known as Mynyw (or Menevia to the Romans). Plain David (or Dewi), as he was then, had been born hereabouts and gained a reputation as an ascetic, scholar and preacher. His rule was austere: the monks wore animal skins, did not eat meat, drink beer, have any personal possessions and laboured hard to sustain themselves as well as help feed the local poor. This lifestyle obviously did David no harm at all; he became a bishop and it is said he lived to 100, dying sometime around 590AD, on 1st March – which, by uncanny coincidence, is St David’s Day. He was buried in the church that he founded. The monastery’s reputation as a place of holiness and learning attracted widespread interest – and wealth. 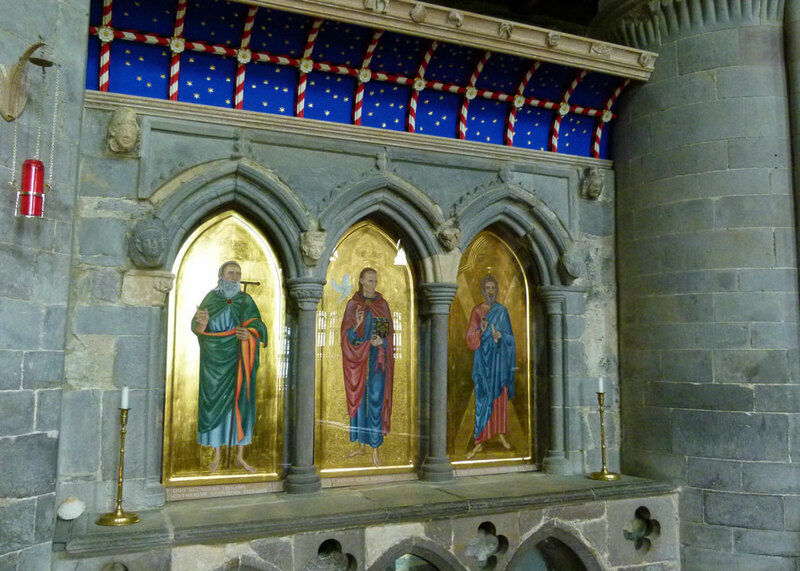 David’s resting place became a place of pilgrimage and St Davids went on to become the wealthiest diocese in medieval Wales. The status of St Davids was such that even the 9th century King of the West Saxons, Alfred the Great, sought help from it; the Welsh monk Asser was dispatched eastward to assist in the restoration of spiritual and intellectual life in the wake of the devastation caused by warfare with the Danes. Mind you, Alfred, ever the pragmatist, may have been partly motivated by the desire to unite Celt and Saxon against the common foe. St Davids was always a handy location too, for visitors dropping by en route to or from Ireland. But this, as well as the magnet of its prosperity, could be a drawback; because Viking raiders attacked a dozen times in the 10th and 11th centuries, twice killing the bishop (surely, being killed once must have been bad enough). 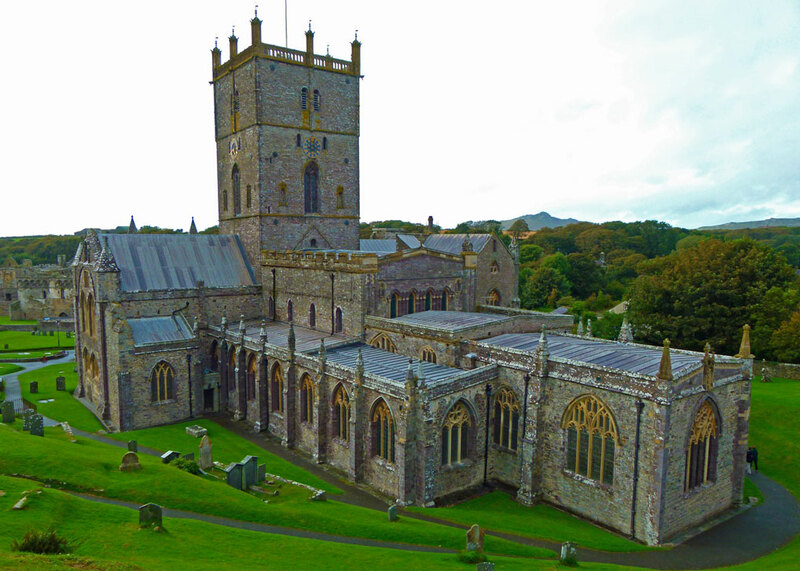 In the early middle ages, St Davids was a centre for the Celtic, not Roman Catholic, Christian tradition. By the 8th century, the Roman tradition, particularly with regard to the calculation of the date of Easter, largely prevailed in Wales. 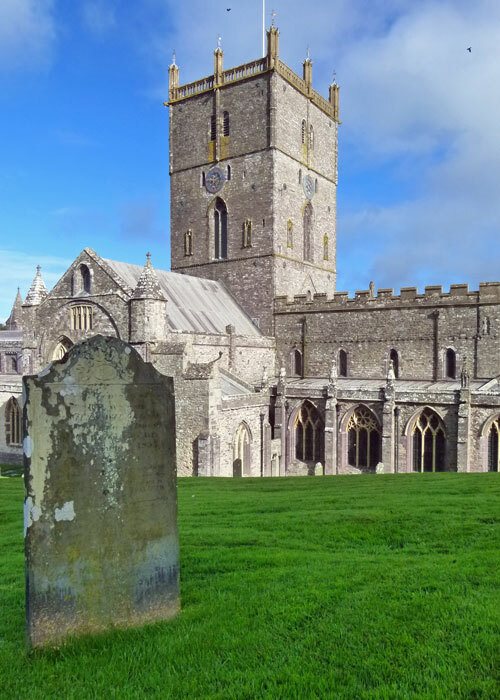 After the Norman conquest of England and a visit from King William I, the Conqueror, in 1081, St Davids fell under the influence of successive kings of England, and the authority of Canterbury. 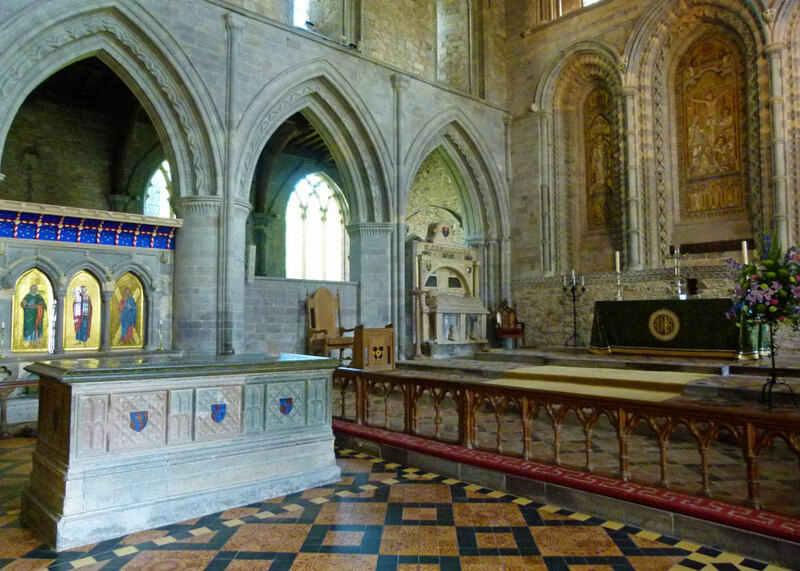 The present Cathedral Church of St Andrew and St David is constructed of local purple sandstone. 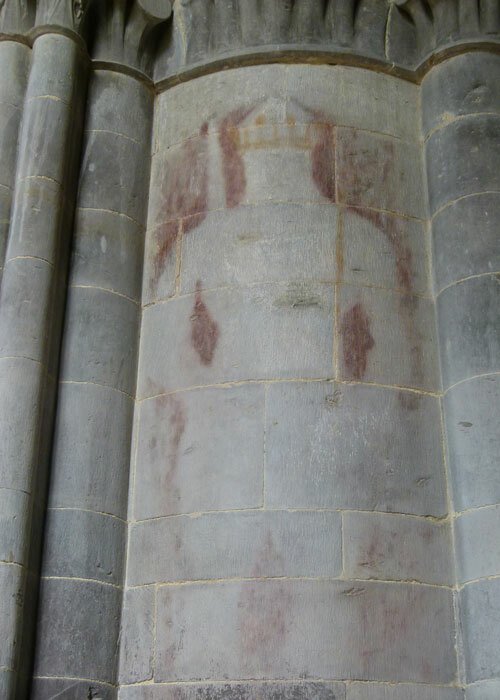 It is 298’ (90 metres) long, the largest cathedral in Wales and dates from the 12th century – there are no traces of earlier buildings on the site. It was also then that the medieval shrine containing David’s remains was constructed and local tourism received a boost from no less a personage than Pope Calixtus II, who said that two pilgrimages to St Davids were worth one to Rome; and three were equivalent to making the long and arduous journey to Jerusalem itself. Even now, this is one of the holiest Christian sites in Britain. 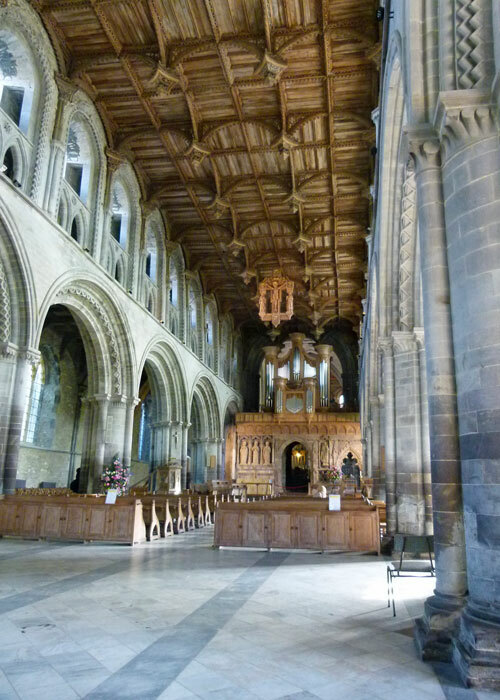 The earlier Norman cathedral has been much added to and updated, particularly in the 14th century under Bishop Gower (who is buried there and who also built the adjacent palace) and again in the 16th and 19th centuries. 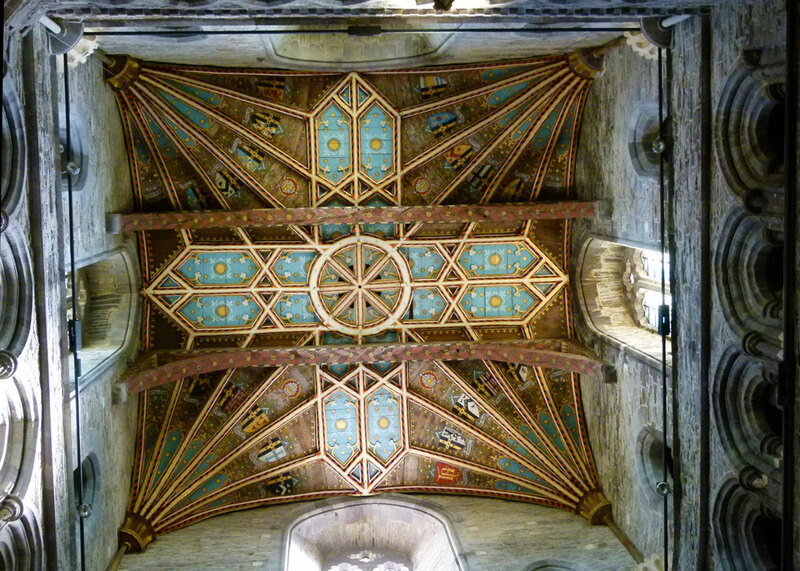 The wonderful Irish oak roof dates from the 16th century. The floor slopes and the massive arches lean, apparently due to the weight of the tower and somewhat marshy ground. There’s comforting. 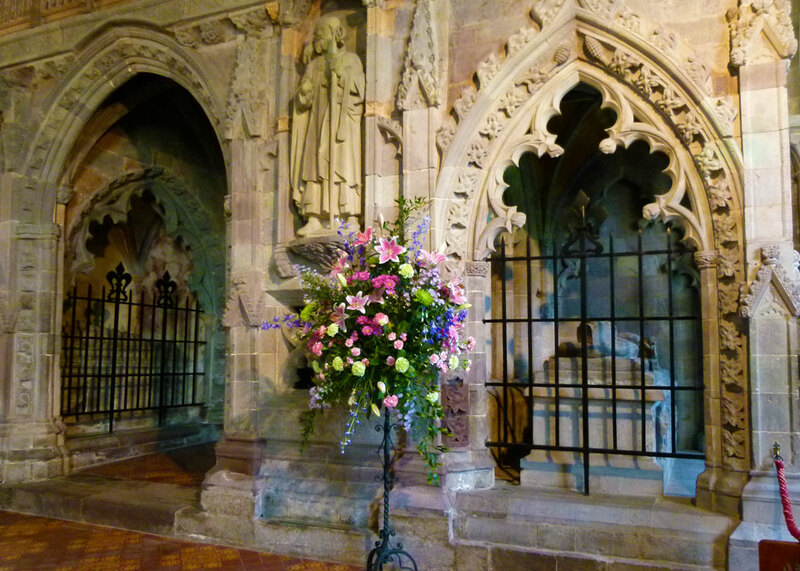 Close to the Shrine of St David is the tomb of Edmund Tudor, son of Owen Tudor and Catherine of Valois, 1st Earl of Richmond and father of Henry VII. Henry’s mother was Margaret Beaufort; Edmund was her first husband. 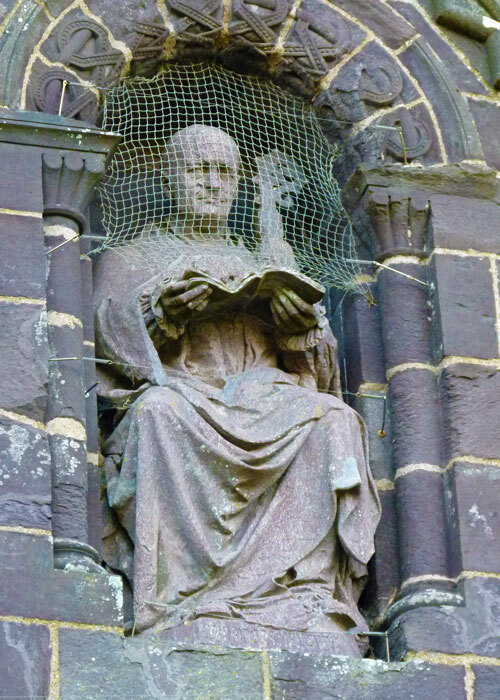 St David’s Shrine was pretty much destroyed by the staunchly anti-Catholic Bishop Barlow during the Reformation. It was painstakingly restored between 2011/2012 and the result unveiled on St David’s Day 2012. Two reliquaries are reputed to contain the remains of St David and, for good measure, St Justinian too. St Justinian was a contemporary of David’s, a hermit who lived on nearby Ramsey Island. The shrine has an oak canopy, in a medieval design, richly painted to represent the heavens, and three stunning icons on the front – paintings in classic Byzantine/early Italian style. I don’t know why that style of artwork was chosen, nor why the icons depict St David, St Andrew, patron saint of Scotland and St Patrick, patron saint of Ireland, but not St George, patron saint of England. I’m surprised Pat is there, but George isn’t; do you reckon those Celts are ganging up on the poor old English again? Britain’s smallest city is of course named for the Patron Saint of Wales, but was, to my surprise, only granted official city status by the Queen as recently as 1995. It’s a lovely, friendly, place, with a population of less than 2,000. 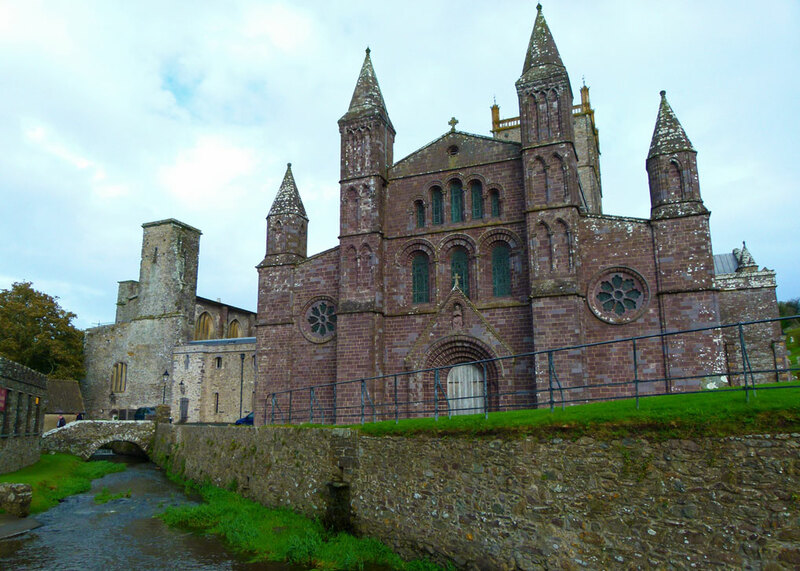 We visited specifically to see the cathedral and bishop’s palace and to explore a little of the Pembrokeshire coast. On our first evening, we dined at The Bishops – a pub, not the chap’s house. Alas, David would have disapproved. Fuelled by an intemperate amount of Double Dragon Ale, with a side-order of fish and chips, someone suggested a night time stroll to walk off a little of the over-indulgence. “Excellent idea – let’s go by way of the Cathedral; it’s just round the corner; it might be floodlit and it will look stunning”. Unfortunately, the Cathedral was not floodlit; on the contrary, it was almost pitch-black. We shuffled blindly, and a little unsteadily, through the 14th century Tower Gate and peered down onto the magnificent structure of the cathedral church, just about visible as a vast shadow through the gloom. As we did so, the sound of sombre organ music drifted up the hill toward us; lights flickered behind the nave windows. It was like a scene from a dodgy horror movie; perhaps I imagined the creak of a coffin lid opening. Clearly, we had triggered a sensor, specially installed to spook visitors; either that, or… I suppose it is possible that someone chose that moment for organ practice. We stared at each other, turned and wordlessly walked back under the arch, avoiding looking too closely into the sinister shadows on either side. A black cat mewed, and crossed our path. An elderly gentleman, caught in the glow of a distant lamp and perhaps recently disinterred, strolled in our direction, only to branch off at the last minute into a house. Saving a longer walk for another time, we headed back to the B&B before the headless corpse could find us. Oh, that oaken ceiling! My word. Fabulous photos accompanied by detailed information on a place I have not visited. Splendid looking place. Maybe you should consider putting some of your posts in to a book which people can carry around. You find so much good stuff, some of it famous and some which isn’t really on the beaten track. Not sure which category this falls into. I have never been there or thought of going, till I read your post. The cathedral is very impressive! St Albans never has an apostrophe – the official reasoning behind this is that it was so-called long before the English language bothered about punctuation, so it makes sense to carry on the old tradition. So they say. There should surely also be a full-stop in St. David’s if us pedants are allowed their way. The statue in the third picture looks like the man who sells me stamps in my local post office. Perhaps the organ music was St. David’s ring tone…I’m glad you didn’t encounter the headless corpse! I always love these blog Post’s. Its the photo’s int it? 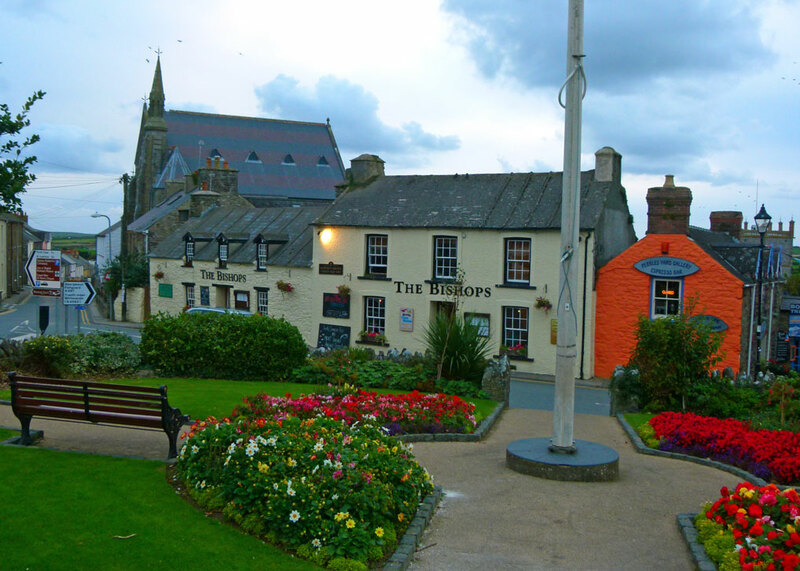 We loved St Davids when we visited about 15 years ago and vowed we’d be back very soon. Life has intervened unfortunately. Beautiful photos as always.